Giuseppe Mazzini (1805-1872) was a writer and political activist who strived to found a unified democratic republic of Italy. 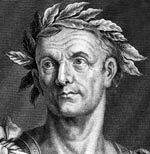 Throughout his life, he founded and supported revolutionary groups who sought to free Italy of foreign powers and unite the different states. During his lifetime, his aspirations were only partially fulfilled, and he considered himself to have failed. But, when Italy was finally united, Mazzini was credited with playing a significant role. Mazzini also helped define early ideas of a united Europe and was a leading figure in the European movement for popular democracy in a republican state. Mazzini was born in Genoa, then part of the Ligurian Republic under the rule of the French Empire. His father was a university professor, and the young Mazzini proved to be a precocious intellect and voracious reader. At the age of only 14, he entered university, graduating with a law degree in 1826. Although he became known as a revolutionary, people commented that the young Mazzini was kind, gentle and compassionate. He had a magnetic personality which drew many to him. After graduating from university, Mazzini worked as a ‘poor man’s lawyer’ and also began a fledgeling journalistic career. Mazzini took an active interest in politics and was drawn to the movement seeking to unify Italy and throw off foreign powers. In 1827, he joined the Carbonari, a secret organisation working for Italian independence. However, the Carbonari had limited influence, and Mazzini was betrayed as it was broken up. As a result of his involvement in revolutionary activity, Mazzini spent six months in jail in Savona (1830-31). During his time in jail, he became even more committed to the movement of working for an Italian republic. His term was “apostolate”- working to achieve “liberty of country” for “Italia.” In 1831, he was released, on the condition that he would accept exile. The movement gained influence and 60,000 members. 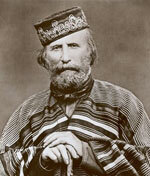 Mazzini was influential in inspiring Giuseppe Garibaldi to devote his life to the cause of Italian independence. However, their attempted insurrections were unsuccessful and were ruthlessly put down in Chambery and later Piedmontese. These failures were a great set back for Mazzini, who felt a sense of personal failure. However, although the revolutions were unsuccessful, it raised the issue of national unity in the public consciousness. As Mazzini himself prophetically said. Young Italy disintegrated as a political organisation, but its ideas became disseminated throughout Italy. Mazzini moved to Switzerland, where he founded Young Europe and also Young Germany / Young Poland. Although Mazzini struggled with the setbacks in Italy, he continued to hold onto the ideal of a united Europe, which he felt had to come first through national unity free of foreign influence. Through his creation of Young Europe, Mazzini is seen as an early visionary of a united European Union, which only came into being after the Second World War. In 1837, Mazzini moved to England, where he wrote frequently and even started a school for Italian boys. Mazzini became relatively well known in England, and there was considerable support for Mazzini from liberal figures – especially after Parliament admitted opening his letters. He re-founded ‘Young Italy’ to help strengthen the feeling of Italian solidarity. He continued to write to agents across Europe and was supportive of the Bandiera brothers who made an unsuccessful attempt to start a revolt in Calabria. 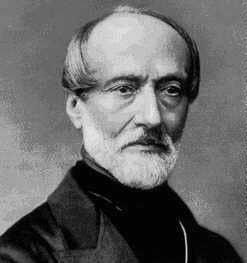 In 1849, Mazzini triumphantly was able to return to Italy after Tuscany and Rome were declared Republics. Mazzini was elected as triumvir of the new republic. Mazzini had fulfilled his lifelong dream of leading the beginnings of an Italian republic, and he began energetically reforming Italian society. However, the Republic was short lived as the Pope appealed for military help from the French and the Catholic forces were able to destroy the fledgeling republic and restore the Pope. Mazzini again had to retreat to London and Switzerland. In the 1850s, Mazzini was active in supporting attempts at insurrections across Italy. Again these insurrections failed to achieve their immediate goal. But, there was public support for their ideas, and the insurrections kept the dream of Italian independence in the public mind. To some Mazzini was an inspirational figure. However, Mazzini also had serious detractors, some declared him a traitor. Others felt he achieved nothing worthwhile. In 1861, the vision of Mazzini was partially fulfilled with the declaration of a new United Kingdom of Italy – only missing Venice and Rome, but also it was a monarchy rather than a republic like Mazzini wanted to see. In 1870, he was arrested after leading a republican uprising in Sicily But, fortunately, was released after Italian troops occupied Rome. Mazzini died from pleurisy at Pisa in March 1872, he was buried in his hometown of Genoa. He never married, though had an affair with the attractive Giuditta Bellerio Sidoli, a Modenese widow. In the 1860s, Mazzini was in contact with Karl Marx and members of the Socialist First International. However, after initial contacts, Mazzini withdrew. 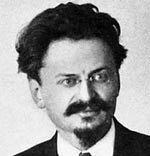 He had a strong belief in God, and could not accept the ‘atheistic’ Communism of Marx or the Anarchism of Bakunin. Citation: Pettinger, Tejvan. “Biography of Giuseppe Mazzini “, Oxford, www.biographyonline.net Published 8 Feb 2012. Last updated 11 February 2018. People of the Nineteenth Century (1801 to 1900) Nineteenth Century saw the economic boom of the industrial revolution and worldwide movements for political change.